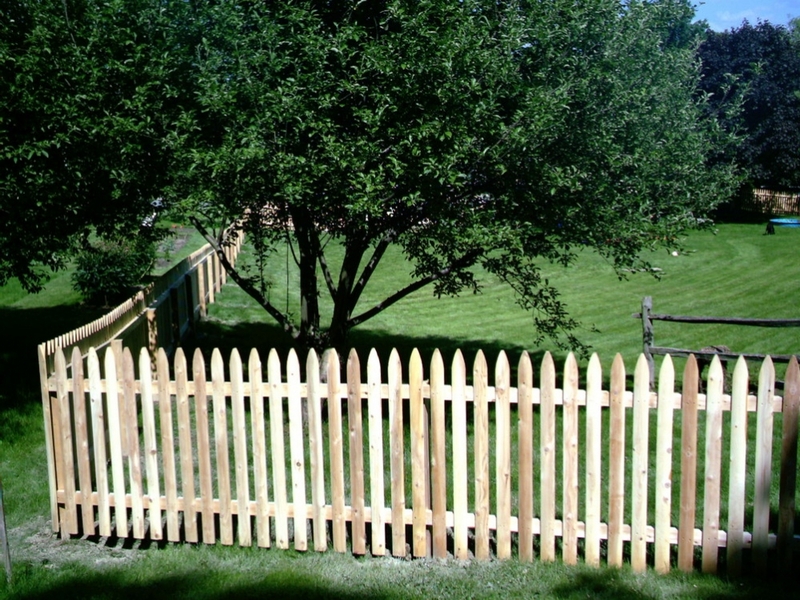 To keep in pets or children-or to add a traditional look to your home, many people choose a classic picket fence. 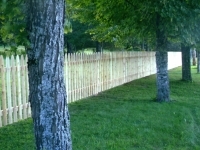 Please click on the images below to get a closer look at what a picket fence can do for your home or business. 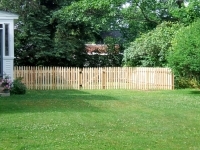 Backyard picket fence in a quiet neighborhood. 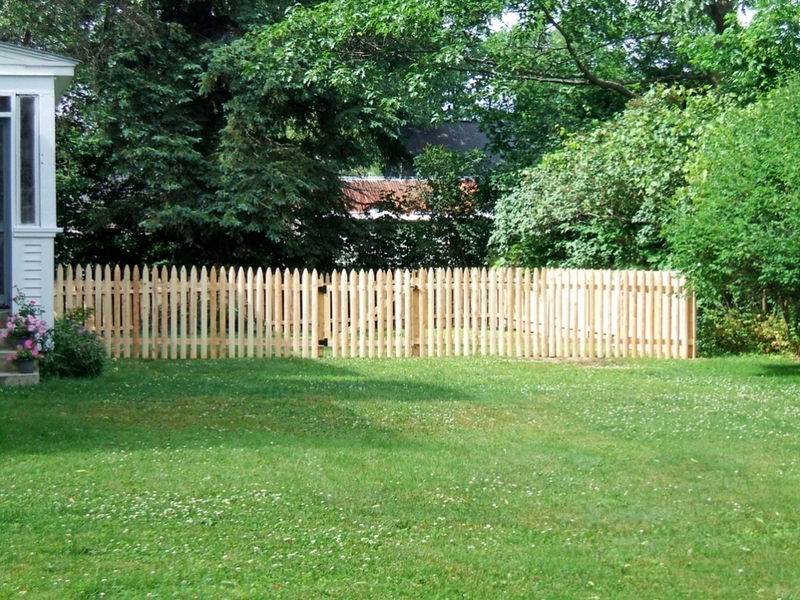 All of our picket fences are made from 100% cedar. 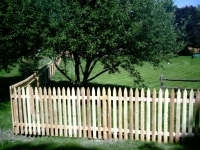 We even use aluminum ring shank nails, to avoid nail staining and to ensure the pickets won't pull off the rail. This picket fence is located in Claremont, NH. 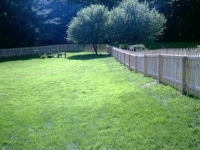 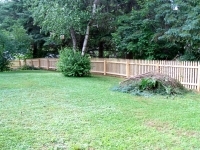 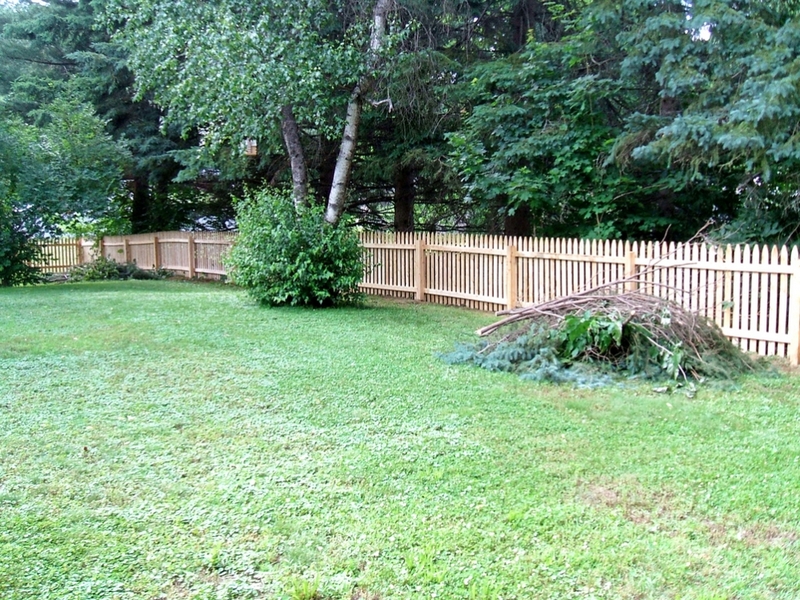 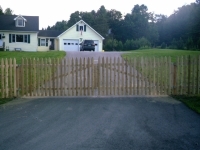 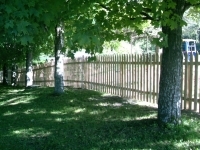 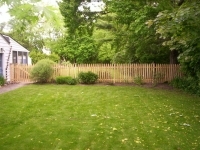 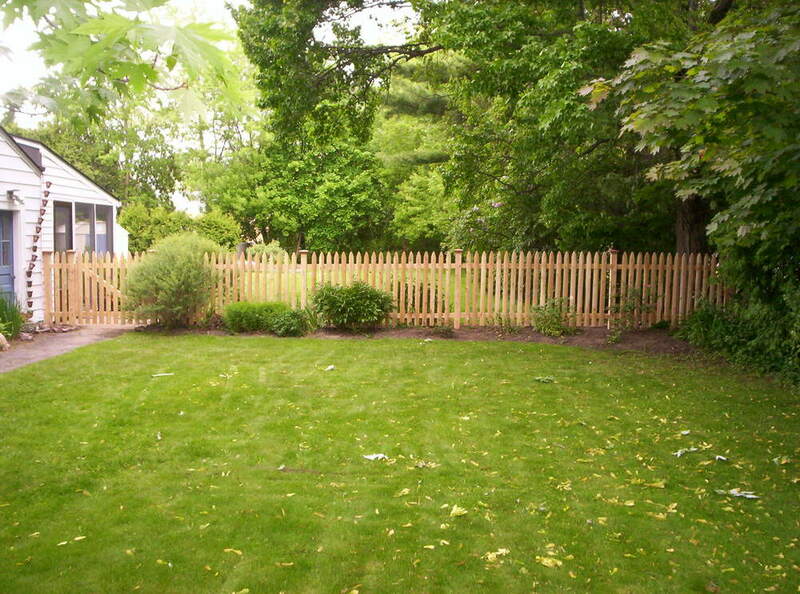 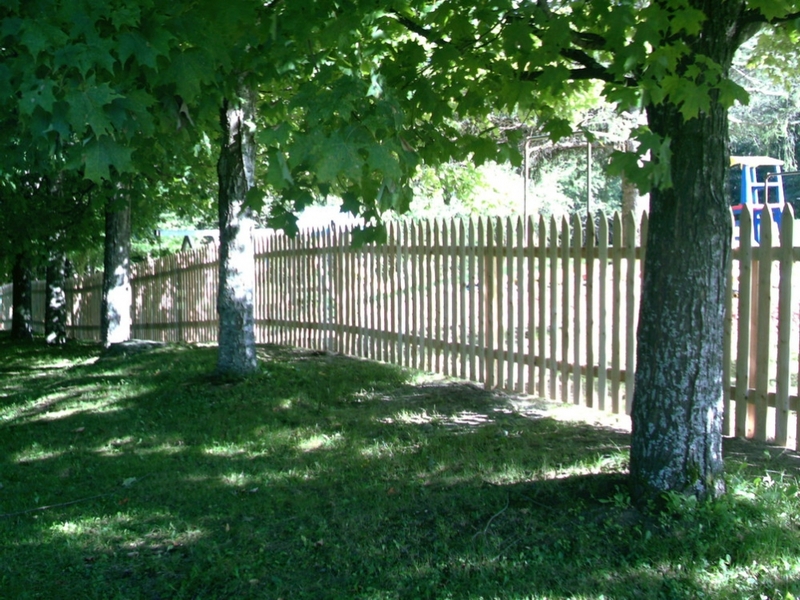 A decorative picket fence we installed in Stowe, VT.
Our picket fences can create a defined outdoor space.